Registration is now open for full teams or individuals looking to be placed on a team. If you are signing up by yourself, because we run such a large soccer program, you are almost guaranteed first day choice placement. However, you still do have to be flexible just in case. We have a 95% successful individual placement rate when you provide us 3 options for placement - so sign up! Returning teams are GUARANTEED same day spot through Prioirty Registration. If your team's league is now in Standard Registration, make sure you get signed up as it is first pay/first play. Holiday and Winter leagues are here! 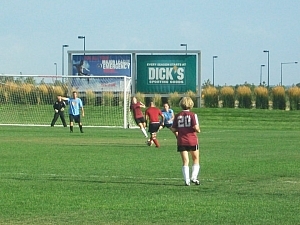 Play in Denver's largest adult soccer program and have a great time. 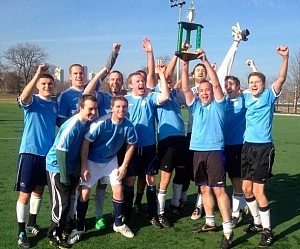 It's always a FUN season of soccer with Sports Monster! 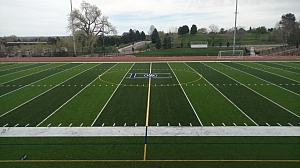 Join us year-round for the best soccer leagues with the best facilities in Denver. We offer two levels of play. Pick the one best suited for you/your team. You will see REC offered for 7v7. For coed 11v11, there are different levels of Recreational skill offered. Look to see which one best suits your team's yourself for matching. And feel free to call or e-mail with questions! Competitive Level: Game Times = two 30 minute halfs. Matches run every 70 minutes. Played college? Played High School or have just played consistently in pick up or league play? Then this will be the league for you. This level is set for those individuals and teams looking to play some competitive soccer with highly skilled opponents and teammates. **Note that specific leagues may have different seasonal length's or requirements. Be sure to read the Details before signing up to make sure you are ready to play!